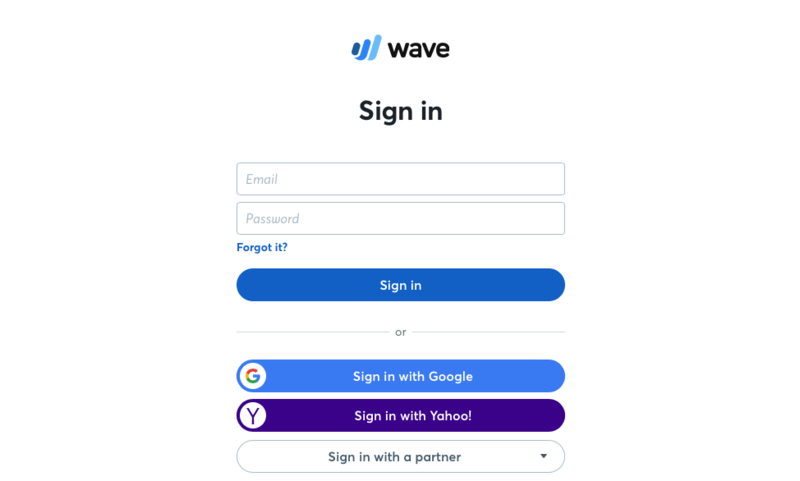 What Wave Triggers and Actions are Supported? New Invoice - Triggers when a new invoice is created. 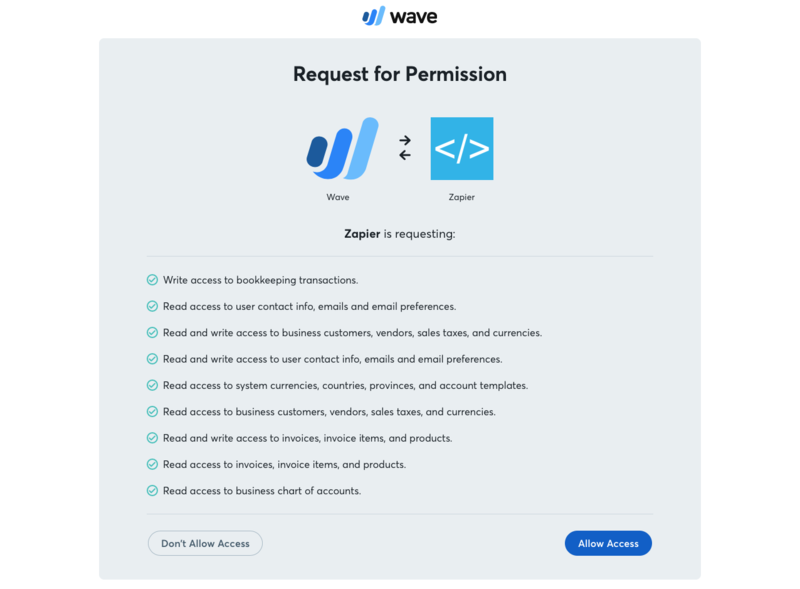 New Customer - Triggers when a new customer is added to a business you choose. Record Sale - Records an Income transaction with optional Sales Tax and optional Payment Processing Fee. Create Invoice - Creates a new invoice. Create Customer - Creates a customer in a business that you choose. 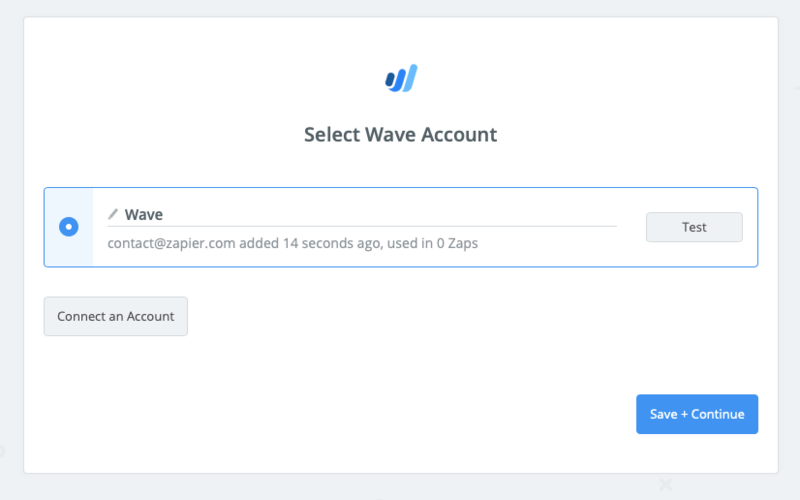 To get started with Wave on Zapier, first you will need to click to connect your Wave account to use with your Zap. 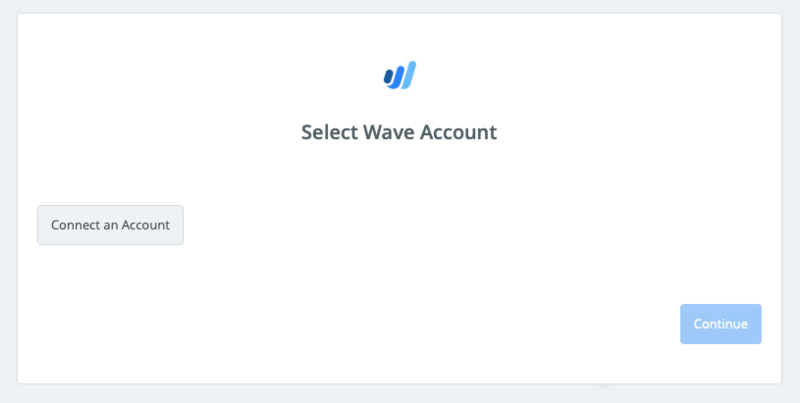 If all steps were successful your Wave account will now be successfully connected.